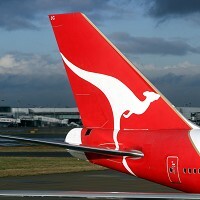 An industrial dispute which erupted between Australian airline Qantas and its union workers is to be settled with the assistance of an arbitration panel, according to reports. Holidaymakers were last month forced to review their travel insurance policies after flights were grounded for two days as a result of the dispute. No solution has emerged from the latest round of talks between the two parties, resulting in the referral to the Fair Work Australia arbitration panel. Prior to the referral, the parties had been given until Monday to resolve their issues, which mainly revolve around jobs. Unions fear that as many as 1,000 positions in Australia could eventually be axed by the airline, as a result of its plans to launch a new Asia-based service.